AutoUpLinkUSA Mid-Atlantic (AULMA) uses sophisticated Integrated Data Stream (IDS) software and Dealer Management System (DMS) polling for accurate, up-to-date online vehicle inventory details. Our system ensures that each piece of data used for online publishing and inventory management is correct and current. The AutoUpLinkUSA IDS software lets you set automatic business rules and filters for your inventory data. Customize online listings and pricing, based on make, model, body style, sales cost, sale price, correct accounting age, mileage, stock number, status and photos. 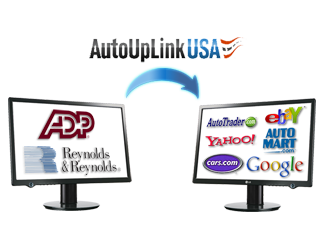 Automatically integrate your physical inventory data plus images from your DMS electronic and accounting inventory files with interactive data entered by dealership personnel and vehicle options and high quality images added by AutoUpLinkUSA Mid-Atlantic data agents. AutoUpLinkUSA Mid-Atlantic (AULMA) will train your personnel to properly update and enter information into your DMS to ensure vehicle data quality control throughout the entire data stream (dms to online listings).